Urinary problems plague many house cats — and they are among the most common reasons a cat takes a trip to the vet. 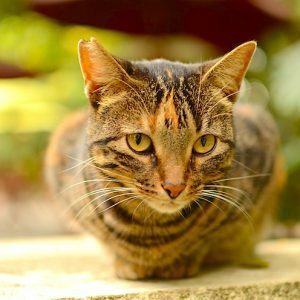 Recent research indicates that many of these cats may suffer from Pandora syndrome, which includes urinary tract disease and comorbidities (one or more additional diseases or disorders co-occurring with it). 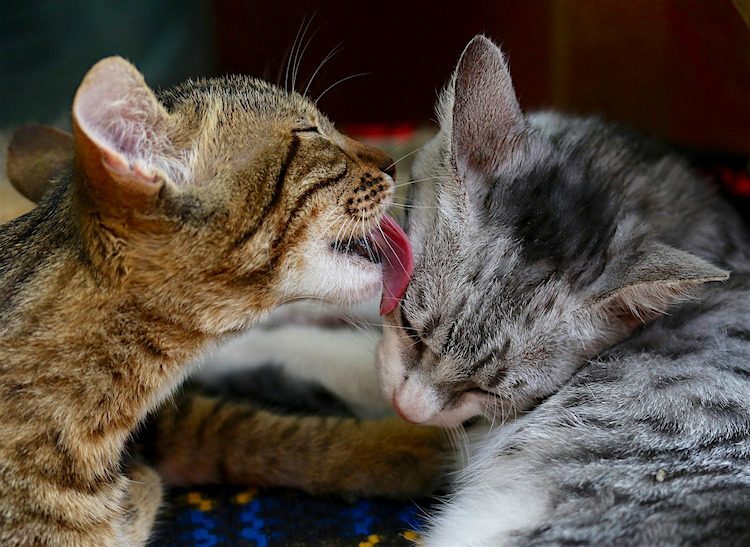 We also now think stress may play a big role in why these cats are sick. These symptoms may manifest in crouching, hiding, lack of appetite or other behavioral changes. We have thought the causes may include urinary crystals or bladder stones (urolithiasis), infection, abnormalities of the body, diet and/or idiopathic disease. 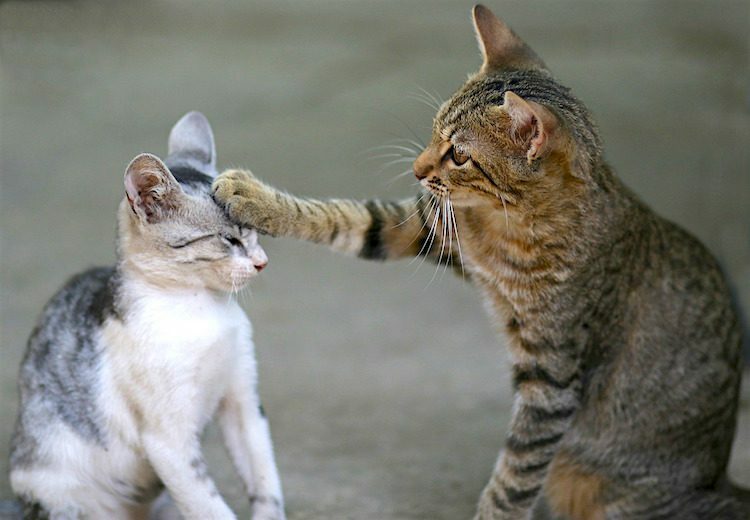 But the number of name changes and inadequate explanation of causes — as well as the name “idiopathic” — sums up that we still don’t really understand this complex, painful, frustrating and often heartbreaking condition in cats. Dr. Tony Buffington, DVM, MS, PhD, DACVN, a professor emeritus at the Ohio State Veterinary School, has been studying abnormal conditions of the urinary tract and comorbidities for many years. He has named it Pandora syndrome. Pandora’s curiosity and the horror and pain that escaped her box is truly one downer of a Greek myth. Those freaky Greeks were not all doom and gloom, however. The myth ends with Pandora shutting the demon box with one item trapped safely inside the box: hope! Buffington’s research strongly suggests that we should have hope, too. We must look outside the box and take a more holistic approach and look at the total cat, taking into account comorbidities and environmental stresses. Cats with Pandora syndrome are suffering from more than their obvious urinary tract problem. A thorough history may reveal that a cat does indeed have comorbidities such as behavioral, endocrine, skin, respiratory, gastrointestinal or even cardiac abnormalities. Signs such as obesity; a shy or aggressive personality; intermittent vomiting, diarrhea or not eating; asthma; over-grooming or a mild heart murmur may all be symptoms created or made worse by stress. The cure for Pandora syndrome may not be medicine — instead, the cure may be to lower the stress that cats, mostly indoor cats, experience. 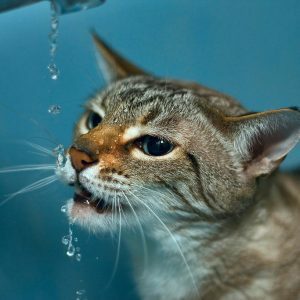 Studies have shown that environmental enrichment geared toward lowering stress in house cats often reduces or removes urinary tract symptoms and associated problems completely. While the cat is still suffering, we use medications to ease pain and symptoms, but the goal is to get these kitties free of recurrences and of having to take meds. As every cat lover knows, cats are strange and incomprehensible creatures. Just as they often seem to do exactly as they please, they are also difficult to read, unlike your canine companion. Your dog might look depressed and sad when you leave them alone. Later in the day, they might be happily slobbering all over you when you come in the door. Only Felix has the answers, and he doesn’t want to share them with you. If lowering stress in cats is our goal in treating Pandora syndrome, how do we do it? Multimodal environmental modification (MEMO) is the key to improving the quality of life in many cats suffering from stress. Buffington describes Pandora as an “anxiopathy,” a pathologic condition resulting from chronic stress. This stress can be scientifically explained as the persistent activation of the central stress response system (CSRS). These cats live in an environment where they feel constantly threatened, which their human may not even know about. 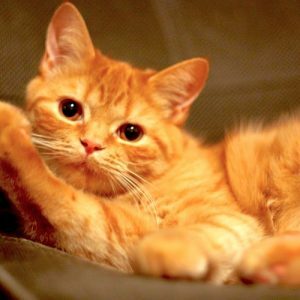 Who are the other cats in the household, and what is their health/behavioral history? Safe placement and availability of fresh food and water? Safe litter box placement, hygiene, management, substrate, etc.? Safe opportunities for activity, play, and preferred social contact? How often does the human leave for long times, and/or how often is the cat’s daily routine of family members and home environment changed? Every cat should have a place in the house to call their own, away from other cats or human commotion. They should also have freedom to scratch, climb, hide, rest, sleep — often in multiple places in the home. Many cats want to be near you for comfort. This means on your computer or your head. As annoying as this can be sometimes, you may be their security blanket. Cats can have unique food preferences — not only in flavor and type, but also in how and where the food is placed and presented. Many cats prefer to eat individually in a safe, quiet space. If their meal is interrupted by other animals, human commotion, or even the sound of the washing machine or an air conditioner starting up, they may feel threatened. Litter box aversion and what may cause it is beyond the scope of this article. Briefly, cats may develop an aversion to their litter box (even without any urinary tract problems) for a variety of reasons. The placement, size, type of litter and hygiene of the box are all factors in how comfortable the cat feels about approaching and using the box consistently. The first thing to remember is the “1 + 1” rule for litter boxes: 1 more box than the number of cats in the house. Yes, this means 3 boxes in separate places for a 2-cat household. We’ve all “wasted money” on cat toys. You bring the adorable mouse toy home, and the cat looks at it like you are insane and stupid. Keep trying. And keep buying! Food puzzles and bird-, mice- or lizard-chasing are individual feline preferences. You’ll find the right toy. This is a tough one, particularly if you have inter-cat aggression. Often, you can lessen the threat by providing more of all of the above, but certain cats are just not meant to be in multi-cat households. 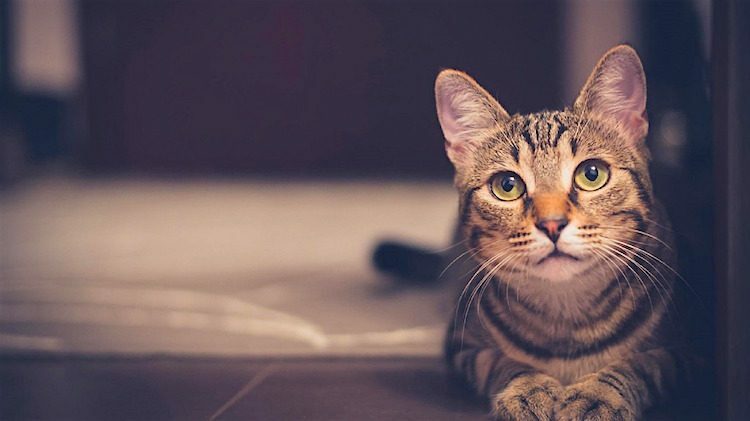 Success in treating Pandora syndrome depends on the veterinarian and the human working closely together, identifying the anxieties plaguing the cat and keeping open lines of communication. Your vet should be empathetic to your concerns, confusions, successes and failures. Many hospitals have a designated vet tech with expertise in Pandora syndrome in cats who can talk with you about your cat’s progress. At first, many of my clients are overwhelmed at the thought of having to work on MEMO to alleviate or solve their cat’s problems. They think they are coming to me to get a pill or some prescription food and be done with it. Some changes in diet and medication may improve symptoms, at least when a urinary tract issue first shows up. For some cats, this is a one-off problem and it does not recur. 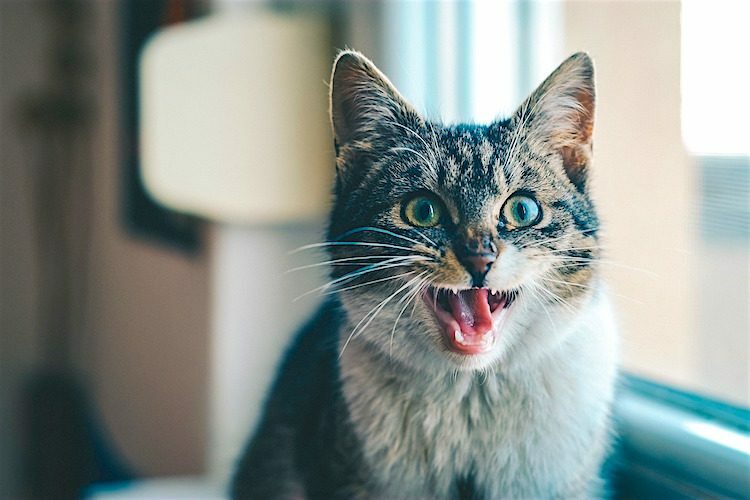 When we identify a true Pandora syndrome in cats, however, the take-home message is that the syndrome will return, over and over, unless we address the things that threaten the cat. I just came home from a great veterinary convention, at which I attended several animal behavior lectures. The “5 Freedoms of Animal Welfare” were mentioned in every lecture. This is a big responsibility. But if you are dedicated to your pets, enriching their lives with the 5 Freedoms actually enriches your own life. If we humans don’t live in a perfect world, at least we can endeavor to create one for our pets. Buffington, Tony, DVM, MS, PhD, DACVN. 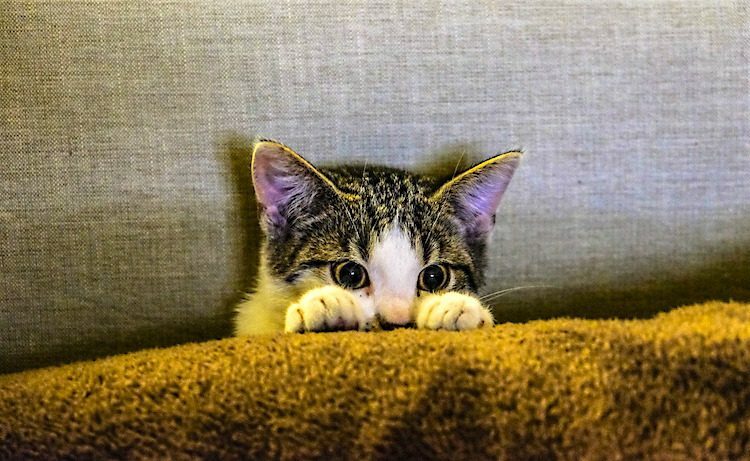 “Pandora Syndrome: Rethinking Our Approach to Idiopathic Cystitis in Cats.” DVM360. Oct. 1, 2011. http://veterinarymedicine.dvm360.com/pandora-syndrome-rethinking-our-approach-idiopathic-cystitis-cats. Buffington, Tony, DVM, MS, PhD, DACVN, et al. “From FUS to Pandora Syndrome: Where Are We, How Did We Get Here, and Where to Now?” Journal of Feline Medicine and Surgery 16, no. 5 (May 2, 2014): 385–394. https://doi.org/10.1177/1098612X14530212. Osborne, C.A. et al. “Redefinition of the Feline Urologic Syndrome: Feline Lower Urinary Tract Disease With Heterogeneous Causes.” Veterinary Clinics of North America, Small Animal Practice 14, no. 3 (May 1984): 169–179. https://www.ncbi.nlm.nih.gov/pubmed/6429924. Buffington, Tony, DVM, MS, PhD, DACVN. “Feline Medicine Pandora Syndrome in Cats.” Today’s Veterinary Practice. https://todaysveterinarypractice.com/feline-medicine-pandora-syndrome-in-cats-diagnosis-and-treatment. This pet health content was written by a veterinarian, Dr. Debora Lichtenberg, VMD. It was last reviewed Nov. 27, 2018.